The Beta of Microsoft Assessment and Planning Toolkit 3.2 is available for download via Microsoft Connect. MAP is a Solution Accelerator formerly known as Windows Vista Hardware Assessment which was focused exclusively on the Windows client and the Office 2007 System. As Microsoft launched Windows Server 2008 and additional solutions designed to integrate with the Windows client and server operating systems, the Microsoft Assessment and Planning Toolkit was necessary in order to encompass all new products. “The Microsoft Assessment and Planning (MAP) Toolkit is a scalable and agent-less assessment platform designed to make it easier to adopt the latest Microsoft technologies. In this latest version, MAP has expanded its assessment capabilities to include SQL Server 2008, Security Assessment Proposal, Forefront/NAP migration, Microsoft Online Services, as well as providing a Power Savings assessment to help your customers 'go green',” revealed Microsoft's Georgina M.
MAP is no longer exclusively about Windows Vista. The Solution Accelerator now also deals with technologies including Hyper-V, SQL, System Center Virtual Machine Manager, and Windows Server 2008. 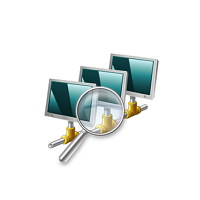 At the same time, the tool checks for the presence of security solutions in an environment and evaluates the status of the Windows Firewall. “In summary, MAP 3.2 assessment areas now include: SQL Server 2008 Migration Proposals and Reports; Security Assessment Proposal; Forefront/NAP Readiness Proposals; Microsoft Online Services Migration Surveys, Proposals, and Reports; Power Savings Proposal; Microsoft Application Virtualization 4.5 Migration Proposals and Reports; Server Migration Reports and Proposals; Server Consolidation Reports and Proposals (Virtual Server 2005 R2 and Hyper-V),” Georgina added. Microsoft designed the Assessment and Planning Toolkit as a solution accelerator set up to streamline the migration process to its latest technologies by assessing IT infrastructures and providing an inventory of the hardware and software solutions, along with compatibility issues, and reporting the readiness status for upgrade tasks. Microsoft Assessment and Planning Toolkit 3.1 is available for download here.